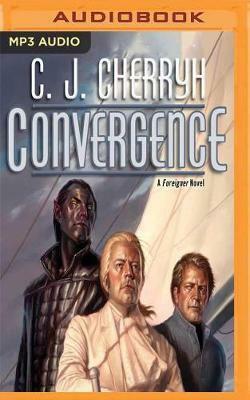 The 18th novel in Cherryh's Foreigner space opera series, a groundbreaking tale of first contact and its consequences. Alpha Station, orbiting the world of the atevi, has taken aboard 5,000 human refugees from a destroyed station in a distant sector of space. With supplies and housing stretched to the breaking point, it is clear that the refugees must be relocated down to the planet, and soon. But not to the atevi mainland, rather to the territory reserved for humans: the island of Mospheira. Tabini-aiji, the powerful political head of the atevi, tasks his brilliant human diplomat, Bren Cameron, to negotiate with the Mospheiran government. For the Alpha Station refugees represent a political faction that the people of Mospheira broke from two centuries ago, and these Mospheirans are not enthusiastic about welcoming these immigrants from space. In the decades Bren has served Tabini, he has become enmeshed in the atevi world in a way no human ever has before. Bren is now an atevi lord, with his own estate on the mainland, his own household, and his own Assassin's Guild bodyguards. He is a treasured resource to Tabini and has become close to Tabini's young son and heir, Cajieri, the first atevi child ever to grow up in the presence of a human. Tabini, impatient with human politics, has ordered Bren to return to the island of his birth in his official capacity as an atevi lord, with his full atevi retinue. Bren is to inform the president of Mospheira that he is no longer his diplomat, that Mospheira must take in the refugees from Alpha, and that there is no other acceptable solution. And among the refugees are three children requiring special protection because Cajieri has made them his "associates" - a bond of atevi loyalty that is unbreakable and lifelong. While Bren travels to Mospheira, Tabini sends Cajieri to the country to visit his uncle Tatiseigi - a political gesture to shore up an old man and give the boy a well-earned vacation, a cherished opportunity to escape the formality of the atevi court. Tatiseigi's neighbors, however, are determined to end an old feud to their own satisfaction....and Cajieri's presence is just the excuse they need.